At Irvington Dental Group, many of our patients in Newark, Irvington and East Orange, NJ are interested in whitening their teeth. They are hoping to boost their self-confidence and smile more freely, but they aren’t sure where to begin. Below, we’ve answered a few of their most common questions. There are many reasons why your teeth might be discolored. Certain foods and drinks will cause staining — anything that can stain your clothes can also stain your teeth! Smoking may also lead to yellowing. Is Teeth Whitening the Best Choice for Me? Teeth whitening isn’t the right choice for every patient. Different causes of discoloration may not respond well to certain whitening treatments. Additionally, if a darkened tooth is also chipped, many patients may choose a dental veneer that will brighten the area while restoring the appearance of a full tooth. Another reason that patients may forego whitening is if they already have dental work such as dental veneers, crowns or bridges that will not whiten along with their natural teeth. This dental work may become noticeably mismatched after the whitening procedure. What Are My Options for Whitening? When you come in for your twice-a-year check-up and dental cleaning, you will walk away with a brighter and whiter smile. This will eliminate much of the staining that routine brushing and flossing just can’t get rid of. Deeper discoloration, however, will remain. When you choose at-home teeth whitening, you will receive a custom-made tray that perfectly fits your mouth and ensures that our whitening gel is evenly applied. You will wear this tray for about an hour every day. This will last for two to four weeks, depending on your dentist’s instructions and the results you hope to achieve. In-office whitening treatment gives you dramatic results quickly and safely. You will relax in one of our comfortable chairs for one to two hours. A guard will protect your gums while powerful hydrogen peroxide-containing gel works to whiten your teeth. When you whiten your teeth under the guidance of a dental professional, you can expect few side effects. The most common concern is increased sensitivity after the treatment. That sensitivity is temporary, however, and should go away after a couple of days. We Take Care of Your Smile — Day or Night! We don’t just offer you sparkling white teeth. We are here for you for every toothache, cavity and oral surgery. If you live in Newark, Irvington or East Orange, NJ, then you can trust the 24-hr dentists at Irvington Dental Group. Are you ready to whiten your smile, come in for a check-up or take care of a dental emergency? 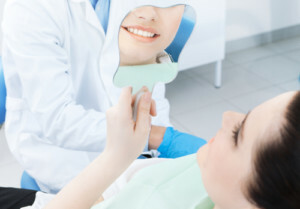 Call us today and schedule an appointment with one of our highly-trained dentists!